Folks, you need to experience Yuwie. Get your Free Site today and get paid for things you love to do. Hi. How in the world are you? I'm Noel Schlachter (pictured with my wife Dee). 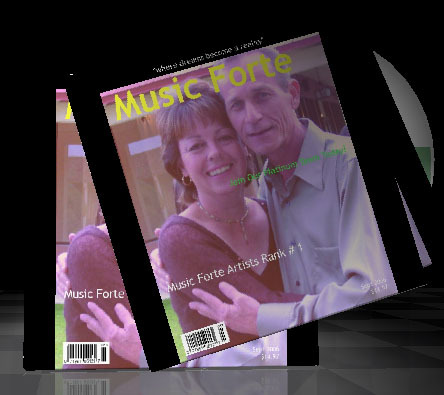 I create Multimedia PowerShows for the Indie Artists at Music Forte. The original Music you will hear in the shows from these unsigned Artists is the best on this planet. 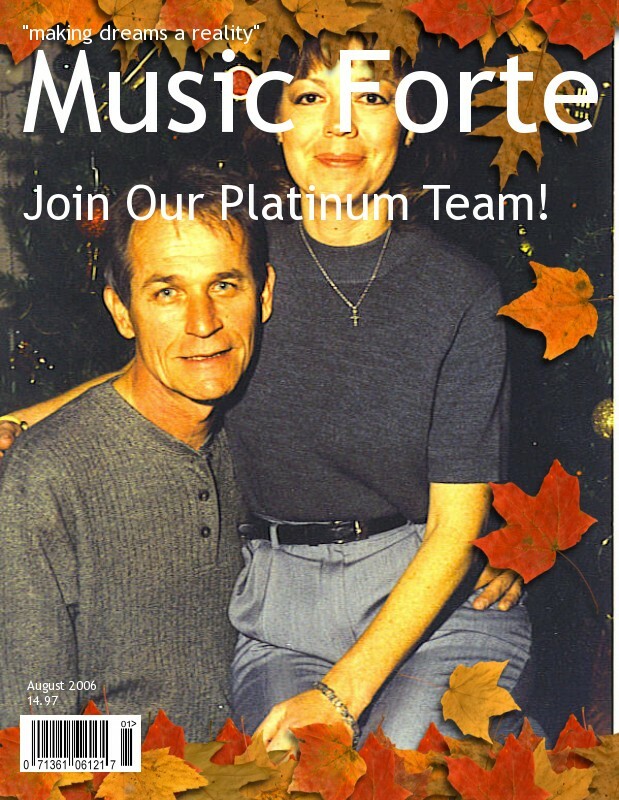 If you like a particular Artist, please tell your friends. The PowerShows have different themes. Sometimes you may laugh and sometimes you may cry but they will always be entertaining. Join my mailing list "That SongBird Guy" to be informed when new shows are available. Write me at songbirdgp@aol.com to be added to my mailing list. Sign up today to get the full screen version free in your email. My new CD is available for digital purchase. It is called "All My Love" I have created 18 selections for your enjoyment. Here is a listing of the tracks. If you enjoy Piano Music, You will love to start your day listening to "All My Love". VERY RELAXING! Thanks to the wonders of the Internet and Digital Distribution you can purchase My new CD "All My Love" for $5.97. are playable on any mp3 player including the Ipod(tm). Please click the paypal donate button below now. Would you like to get involved in the greatest business opportunity of the decade. a way out of the rat race of an everyday job. please recommend to all of your friends!